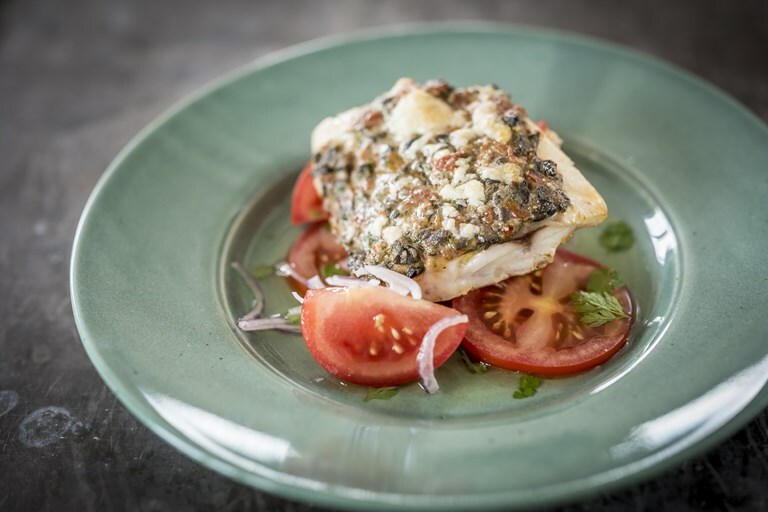 This simple hake recipe from Nathan Outlaw can be thrown together in less than 20 minutes, but makes a delicious supper or healthy lunch dish. The Mediterranean-style crust has plenty of flavour from black olives and sun-dried tomatoes, a slight crunch from pine nuts, and is bound with good quality cheddar. Nathan Outlaw cooks with understated brilliance and passionate respect for primary ingredients.